Mapex Drums - Musikmesse 2015: Drum Kits of the Star - Matt Halpern. Home > The Bus > April 2015 > Musikmesse 2015: Drum Kits of the Star - Matt Halpern. 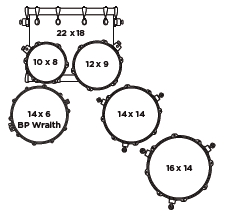 Fat, dense floor toms, clear and focused rack toms, and a bass that kicks you in the chest...these drums have what it takes for Matt to deliver the complex rhythms and monster grooves that drive Periphery. 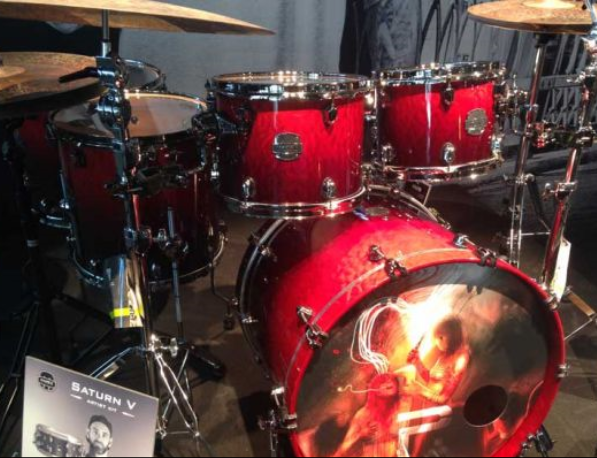 Matt Performed on Agora Stage with Saturn V MH Exotic in Deep Water Maple Burl kit.
" The deep blue burst over the maple burl veneer creates the sensation of the chasm opening up before your eyes, inviting you to dive into and explore its depths. Still waters run deep".